Black Hills Caverns are masterpieces of nature - the underground wilderness features 28 different cave formations in three levels of wind caverns. The Black Hills Caverns are just outside of Rapid City, South Dakota. The three levels of passages and rooms feature a myriad of underground wonders. Open from 9-4; call for more information about seasonal closings. The Black Hills Caverns are a must-see for anyone passing by Rapid City. Just 15 minutes from the center of the city, the Caverns features three separate levels of passages; an underground stream; and calcite crystals, stalactites and stalagmites, columns, frost crystal and countless more cave formations. Fun, family-friendly tours through the Black Hills Caverns are available, and the electrically lit path makes the Caverns accessible to everyone. 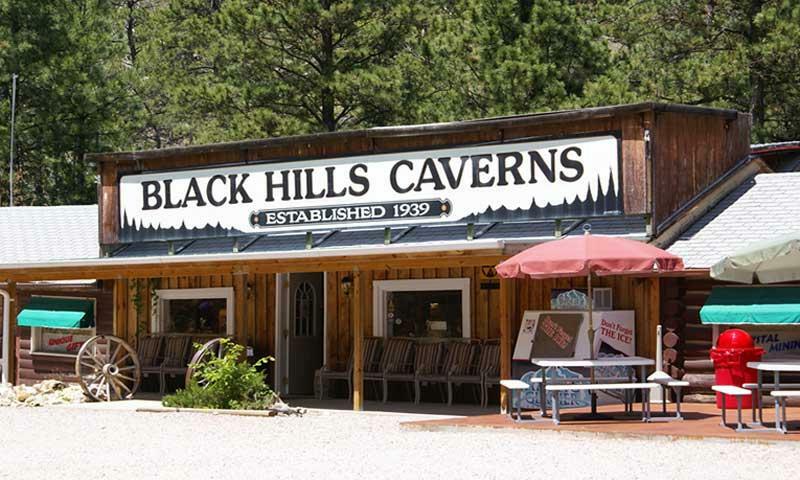 The Black Hills Caverns offers two distinct guided tours of the caves. 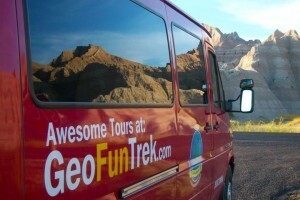 The half-hour Crystal Tour explores the upper level of the Caverns and is an easy walking tour. The moderate hour-long Adventure Tour goes through all three floors of the Caverns, showcasing all of the most impressive speleothems. For those interested in discovering the Black Hills Caverns’ past, the Gemstone Mining Tour (complete with your own mining pan) provides a fun way to learn about the history of this area and identify some of the many rocks, gems and fossils that can be found here. Tours leave from the gift shop every half-hour, with the last tours leaving one hour before closing. Black Hills Caverns is located four miles west of Rapid City along SD-44. The Caverns are open from 9-4 through the summer season, with tours beginning every half-hour. 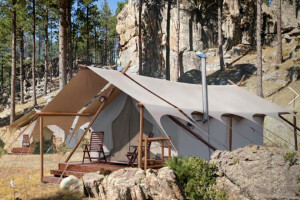 For more information, call 1-800-837-9358, email info@blackhillscaverns.com, or visit them online.